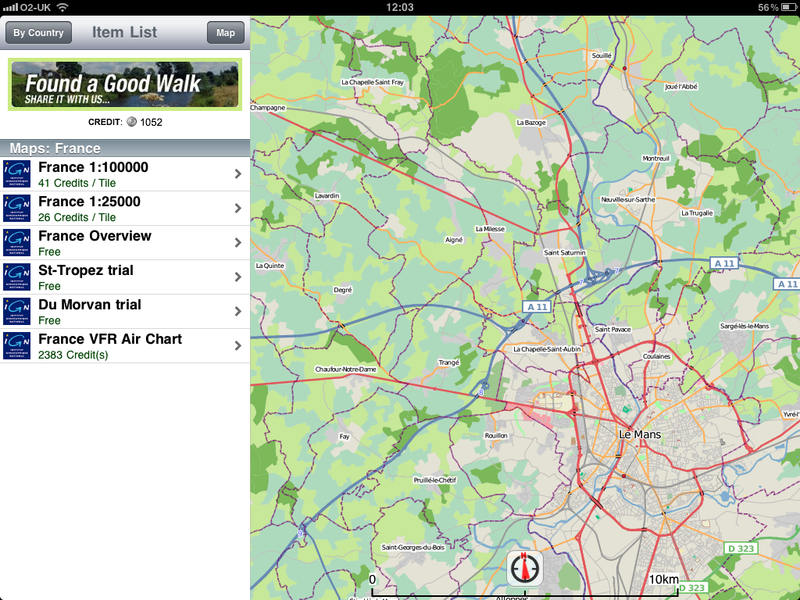 New updates of ViewRanger GPS for Apple iPod, iPhone, and iPad devices have gone live today. 1. Introduction of numeric co-ordinate entry (ideal for Geocaching) whilst panning over map, creating a POI, viewing properties of a POI or Waypoint. 2. Improved ViewRanger store to allow easy search and purchase of premium maps and expert guided routes, includes display of ViewRanger Credit balance. 3. Map view now includes fixed visible cross-hair at the centre of the screen, together with numeric coordinate on display. Two items of feedback that we received from many ViewRanger customers and that we have addressed in this update were numeric coordinate entry and better browsing of the growing ViewRanger content library. Manual coordinate entry on iPhone. A lot of you have been asking for manual coordinate entry within the iPhone app (particularly as it is already available in the Android and Symbian apps). I know that those of you that use ViewRanger for geocaching were particularly keen to see this added. And, similarly, we'd heard requests for this from many of the mountain rescue teams that use our ViewRanger app. We've now added this. To access the Coordinate Entry panel, simply tap on the coordinate display at the top of the map screen. As our network of content partners has grown, and as the range of maps and routes has expanded, we've seen a need to improve the content browsing experience within the app. Previously, the ViewRanger Store showed a list of maps. Today's update provides a much more visual browsing experience that includes clearer pricing information, display of your ViewRanger Credit balance, preview images for most content items, and simpler ways to find the content that you want. For me, being able to quickly discover the maps and content that is available from my favourite brands, or being able to filter my route searches by the kind of route (cycling, walking, etc.) has made the process a lot quicker. It also illustrates the amount and breadth of content that is available to download within ViewRanger. Of course, we're already working with many new partners, who are eager to share their content with you, to bring their maps, routes, and guides into the ViewRanger publishing platform. We'll post more on the specific ways that you can discover and browse Map, Route and Guide content within this new tool in a separate blog post.